The humanities are in their latest periodic crisis. Though the causes of the ongoing decline may be debated, everyone accepts the dismal news about eroding university enrollments, ever fewer new faculty positions, the decline in majors, and the lack of jobs for humanities graduates. Less than 8% of current BA degrees are awarded to humanities majors. The New York Times recently reported that while 45% of the undergraduate faculty at Stanford teach in the humanities, only 15% of the students major in them. Of course, the numbers of humanities majors have been in decline since the 1970s. But what seems different today is that the humanities are less sacrosanct in the university. Literature, philosophy, and art are no longer immune from budget cuts by virtue of their traditional intrinsic value to the university. Either humanities professors can no longer make the case for the traditional role of their subjects or no one cares to listen to what they have to say. About 15 years ago, John Heath and I coauthored Who Killed Homer? The Demise of Classical Education and the Recovery of Greek Wisdom, a pessimistic warning about where current trends would take classics in particular and the humanities in general. It was easy enough then to identify the causes of the implosion. At the very time the protocols of the universities were proving unsustainable—more expensive administrators and non-teaching personnel, soaring tuition hikes, vast non-instructional expenditures in student services and social recreation, more release time for full professors, greater exploitation of part-time teachers, and more emphasis on practical education—the humanities had turned against themselves in the fashion of an autoimmune disease. For example, esoteric university press publications, not undergraduate teaching and advocacy, came to define the successful humanities professor. Literature, history, art, music, and philosophy classes—even if these courses retained their traditional course titles—became shells of their former selves, now focusing on race, class, and gender indictments of the ancient and modern Western worlds. These trendy classes did the nearly impossible task of turning the plays of Euripides, the poetry of Dante, and the history of the Civil War into monotonous subjects. The result was predictable: cash-strapped students increasingly avoided these classes. Moreover, if humanists did not display enthusiasm for Western literature, ideas, and history, or, as advocates, seek to help students appreciate the exceptional wisdom and beauty of Sophocles or Virgil, why, then, would the Chairman of the Chicano Studies Department, the Assistant Dean of Social Science, the Associate Provost for Diversity, or the Professor of Accounting who Chaired the General Education Committee worry about the declining enrollments in humanities? Even more paradoxical, humanities professors began to adopt the very values of the caricatured corporate world to define the successful humanist. The campus exemplar became the grandee who won the most time off from teaching, garnered the most grants, taught the fewest undergraduates, and wrote the most university press books that in turn were largely critical of the subject matter that ensured his university position in the first place. Now, in the latest round of declining interest in the liberal arts, the problem is not just one of declining enrollments and interest, but also that there is no longer any institutional safety net to subsidize an eroding but still vital mode of education. A trillion-dollar student loan bubble is proving unsustainable for all students, business and humanities majors alike. This time around, arguments rage not over the value of a humanities major, but whether college itself is worth attending. Will earning a bachelor’s degree still ensure greater lifetime earnings than bypassing college altogether? Meanwhile, the new technology of online courses and for-profit tech schools offer a far cheaper antidote to the high cost and often partisan corruption of the traditional university experience. For-profit ventures are not worried about skipping the humanities and losing a broader college learning experience. And they certainly have a point, given that humanities professors themselves have not effectively argued that well conceived and taught liberal arts programs can restore the reputations of colleges that graduate ever more indebted students who often read, write, and think no more effectively than their non-college competitors. If the humanities could have adopted a worse strategy to combat these larger economic and cultural trends over the last decade, it would be hard to see how. In short, the humanities have been exhausted by a half-century of therapeutic “studies” courses: Peace and Conflict Resolution Studies, Post-Colonial Studies, Environmental Studies, Chicano Studies, Women’s Studies, Black Studies, Asian Studies, Cultural Studies, and Gay Studies. Any contemporary topic that could not otherwise justify itself as literary, historical, philosophical, or cultural simply tacked on the suffix “studies” and thereby found its way into the curriculum. These “studies” courses shared an emphasis on race, class, and gender oppression that in turn had three negative consequences. First, they turned the study of literature and history from tragedy to melodrama, from beauty and paradox into banal predictability, and thus lost an entire generation of students. Second, they created a climate of advocacy that permeated the entire university, as the great works and events of the past were distorted and enlisted in advancing contemporary political agendas. Finally, the university lost not just the students, but the public as well, which turned to other sources—filmmakers, civic organizations, non-academic authors, and popular culture—for humanistic study. The way this indoctrination played itself out in the typical humanities class was often comical. Homer’s Odyssey was not about an early epic Greek hero, who, with his wits, muscle, and courage overcomes natural and human challenges to return home to restore his family and to reestablish the foundations of his community on Ithaca—a primer on how the institutions of the early polis gradually superseded tribal and savage precursors. Instead, the Odyssey could be used to lecture students about the foundations of white male oppression. At the dawn of Western civilization, powerful women, such as Calypso and Circe, were marginalized and depicted as anti-social misfits, sorceresses on enchanted islands who paid a high social price for taking control of their own sexuality and establishing careers on their own terms. Penelope was either a suburban Edith Bunker, clueless about the ramifications of her own monotonous domesticity, or, contrarily, an emancipated proto-Betty Friedman, who came of age only in the 20-year absence of her oppressive husband and finally forged outlets for her previously repressed and unappreciated talents. The problem is not necessarily that such interpretations were completely untrue, but that they remain subsidiary themes in a far larger epic about the universal human experience. Students were to discover how oppressive and unfair contemporary life was through the literature, history, and culture of our past—a discovery that had no time for ambiguity such as the irony of Sophocles’s Ajax, or the tragedy of Robert E. Lee. Instead, those of the past were reduced to cut-out, cardboard figurines, who drew our interest largely to the extent that they might become indicted as insensitive to women, gays, minorities, and the poor of their age—judged wanting by comfortable contemporary academic prosecutors who were deemed enlightened for their criticism. To the extent that these dreary reeducation seminars were not required as part of the General Education curriculum, students voted with their feet to pass them up; when enrollment was mandatory, students resigned themselves never to suffer through similar elective classes in the future. A final irony was that classical liberal education—despite the fashionable critique that it had never been disinterested—for a century was largely apolitical. Odysseus was critiqued as everyman, not an American CEO, a proto-Christian saint, or the caricature of white patriarchal privilege. Instead Homer made students of all races and classes and both genders think twice about the contradictions of the human experience: which is the greatest danger to civilization, the Lala land of the comfortable Lotus Eaters, or the brutal pre-polis savagery of the tribal Cyclopes? Telemachus was incidentally white, rich, and male, but essentially a youthful everyman coming of age, with all the angst and insecurities that will either overwhelm the inexperienced and lead to perpetual adolescence, or must be conquered on the path to adulthood. Odysseus towers among his lesser conniving and squabbling crewmen—but why then does his curiosity and audacity ensure that all his crewmen who hitch their star to the great man end up dead? In the zero-sum game of the college curricula, what was crowded out over the last half-century was often the very sort of instruction that had once made employers take a risk in hiring a liberal arts major. Humanities students were more likely to craft good prose. They were trained to be inductive rather than deductive in their reasoning, possessed an appreciation of language and art, and knew the referents of the past well enough to put contemporary events into some sort of larger abstract context. In short, they were often considered ideal prospects as future captains of business, law, medicine, or engineering. Not now. The world beyond the campus has learned that college students know how and why to take a political position but not how to defend it through logic and example. If employers are turned off by a lack of real knowledge, they are even more so when it is accompanied by zealousness. Ignorance and arrogance are a fatal combination. 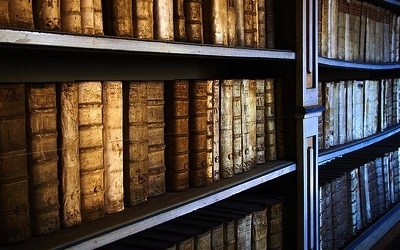 When the humanities failed to make the case that its students were trained to be exceptionally good writers, logical debaters, and well informed about the events, people, literature and issues of the past, then the liberal arts no longer were granted immunity from the general reckoning that the university now faces. Colleges charge too much and provide too little quality education; they exploit students and part-time faculty to serve a much smaller tenured and administrative elite; and they no longer believe in enriching society as much as radically changing it according to their own partisan visions. Given that university humanities programs have enabled these trends, it is no wonder that they too are being held accountable.